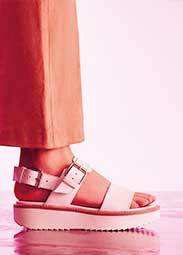 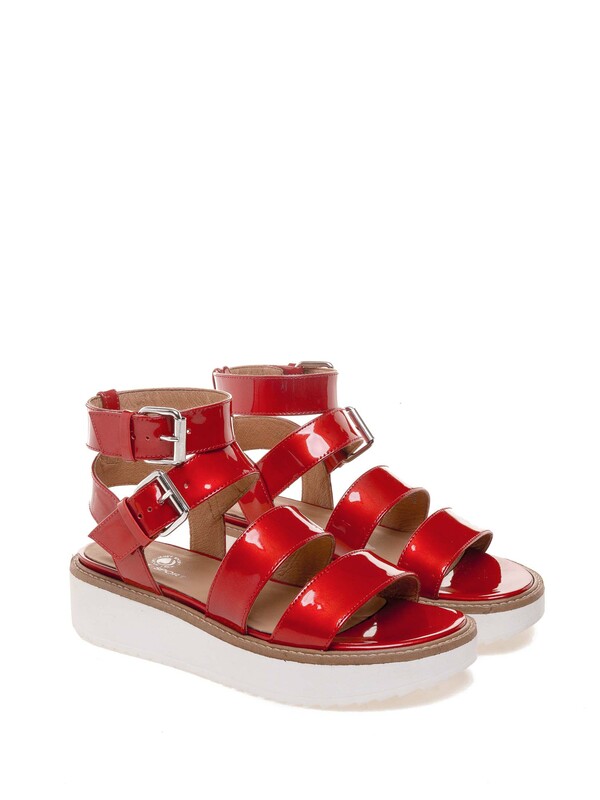 Gladiator sandals. 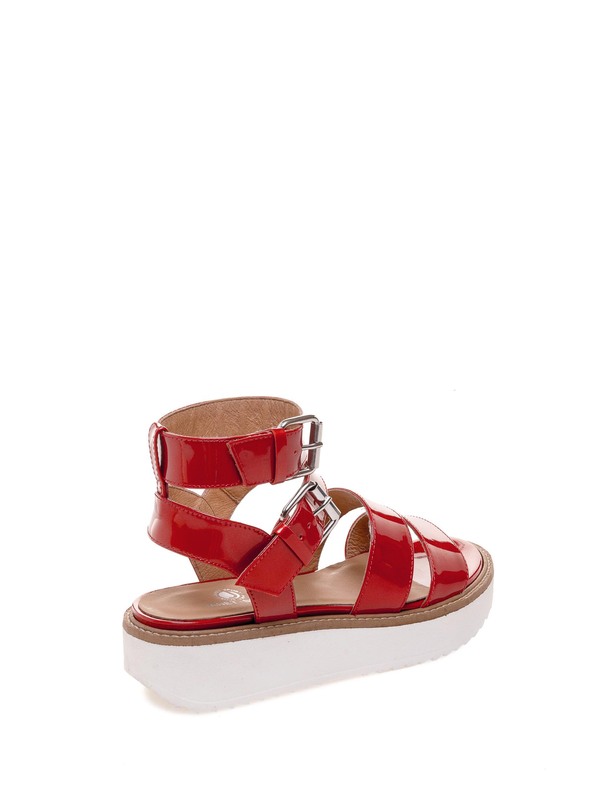 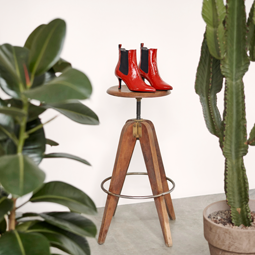 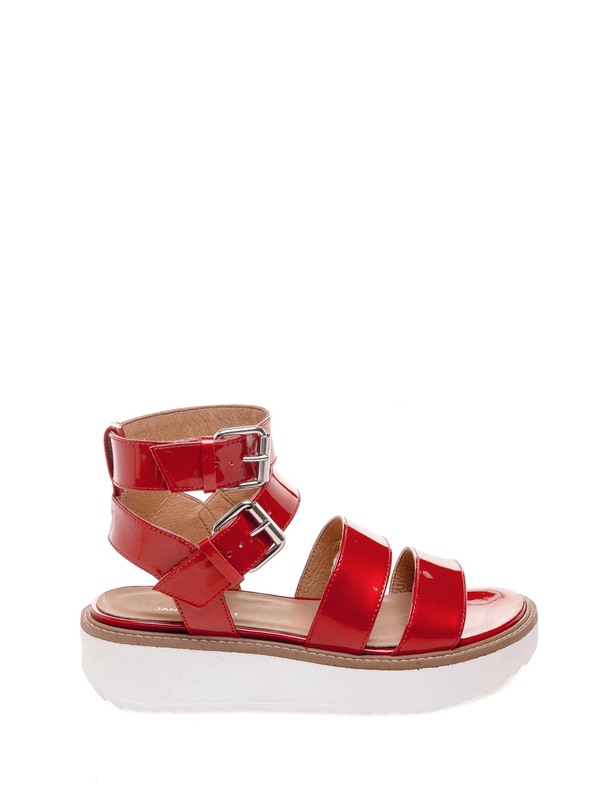 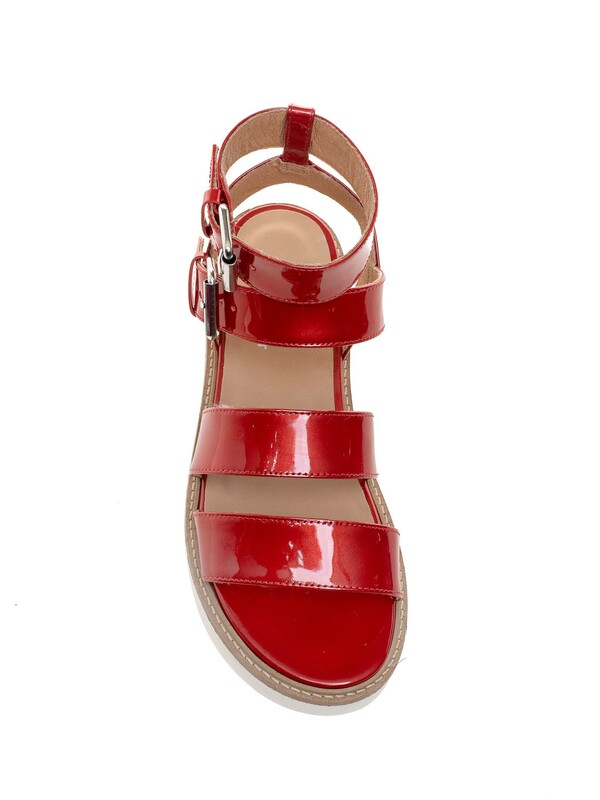 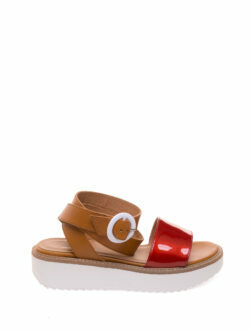 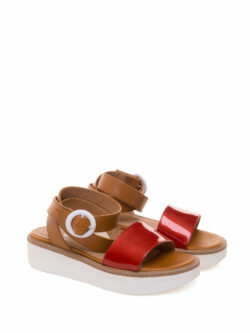 Bright red patent leather low flatforms with wide straps and double fastening. 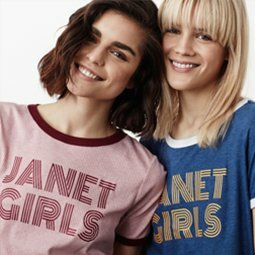 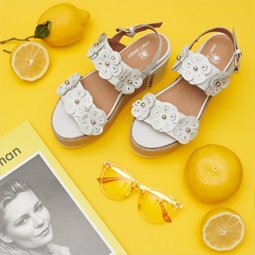 Perfect for all your summer looks, try them in the city with a pair of optical white trousers and an open-work cotton top!